In today’s gadget age and social media society, the safety of our children is slowly reducing their ability to enjoy the outdoor experience. 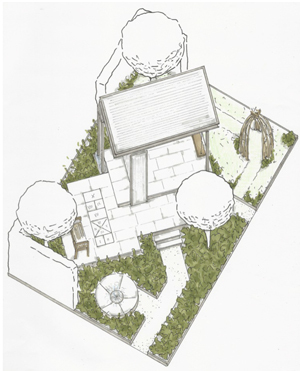 With this in mind CCLA are sponsoring a show garden at the 2018 RHS Chatsworth Flower Show that will celebrate the unity of the family while providing areas for children to play independently within a safe inclusive environment. ‘A Family Garden‘ will be designed by Amanda Waring and Laura Arison and will demonstrate a safe and inclusive space for the family to relax and sit, entertain and at the same time connect with nature’s life cycles. 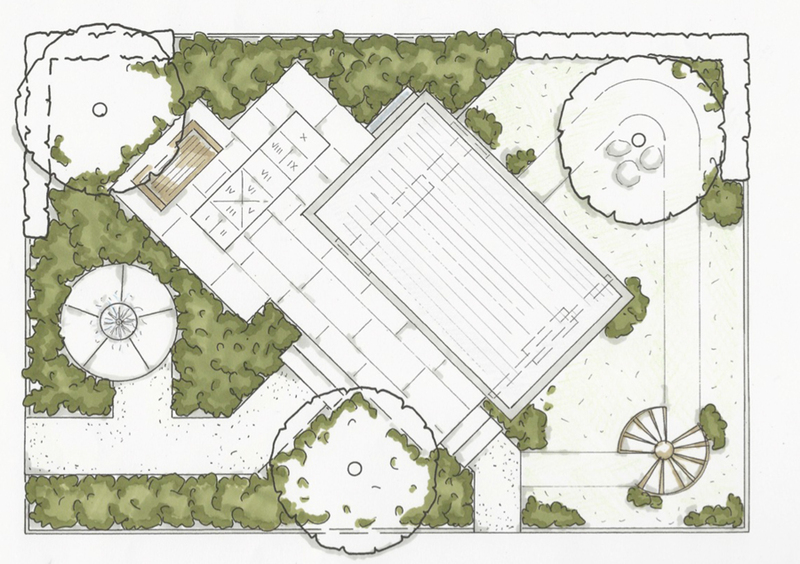 The main structure within the garden will be the pavilion, creating a covered area bringing the family together. The main wall provides surfaces for children’s activities and a play tunnel. The varied levels and surfaces invite the garden user to meander and explore the marriage of structure and informal planting through a combination of ornamental and edibles, encouraging the importance and appreciation of biodiversity. Paving will be light porcelain – intended to look as if it is floating – using dark cladding for the vertical elements. The garden will also contain two water features providing entertainment, sound and effect. A meadow sculpture will provide an additional element for children and adults to enjoy. Planting will evoke a less formal approach, with plants including Paulownia tomentosa, Fagus Sylvatica ‘Purpurea’ and Hydrangea. The garden features in the Show Garden category.